In July 1864 the main focus of the war in Virginia had shifted to the Richmond area where the Union army had hopes of swiftly ending the war. 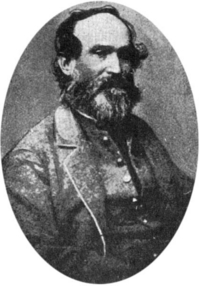 Only secondary attention was being paid to the Shenandoah Valley with the only Union presence being Gen. George Crook in Winchester with a force of less than 12,000. With the tragic loss in 1863 of Gen. "Stonewall" Jackson who died at Chancellorsville from friendly fire from his own pickets, the Confederate forces in the Valley were now led by Lt. Gen. Jubal A. Early. Having learned of a severely diminished Union presence in the Valley, on July 24th Gen. Early pushed north from Strasburg toward Winchester with nearly 17,000 troops. His intent was to push Gen. Crook's force out of the city and out of the Valley. Crook, believing that only a small cavalry force faced him, ordered his units to push south from Winchester and scatter the Confederates. Once again, Union artillery graced the heights of Pritchard's Hill to support the Union advance. Crook's regiments made it as far as the Opequon Church just south of Pritchard's farm in Kernstown before being forced back by Gen. Early's amassed force. As they pulled back, fierce fighting tore at the Union ranks lined up behind the stone wall along the entrance lane to the Pritchard farm. Union Col. James Mulligan tried to rally his troops behind the wall but they were heavily outflanked by the crack troops of Gen. Breckenridge pouring in from the east, Gen. Ramseur advancing from the west and Gen. Gordon coming directly from the south. During his stand behind the stone wall, Col. Mulligan was mortally wounded by Confederate sharpshooters. As his troops attempted to carry him from the field, sensing defeat and his own mortality, he admonished them to "Lay me down and save the flag". Thus began the retreat of the Union force north into Maryland and on to Pennsylvania. 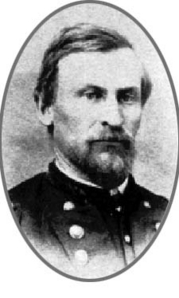 When the field of battle again became calm, Col. Mulligan was carried into the Pritchard house immediately behind the battle line. There he was nursed and cared for by the Pritchards but his wounds were severe and he died three days later. Some years afterward, Samuel Pritchard remembered of Mulligan "He died in my arms. I was holding his head up at the time he died." The Second Battle of Kernstown was a decisive Confederate victory, but it was to be the last such in the Valley. Gen. Jubal Early's victorious Confederates inflicted 1185 casualties in smashing Gen. George Crook's Army of West Virginia, clearing the Valley again of Union troops, and opening the way for Early's route into Pennsylvania. In Washington, President Lincoln moved to put the entire Valley area under the command of Gen. Philip Sheridan. The battles of Third Winchester, Cedar Creek, and the Great Burning of the Shenandoah Valley were to follow. In essence, the Second Battle of Kernstown marked the beginning of Sheridan's Valley Campaign of 1864 effectively destroying the breadbasket of the Confederacy tilting the balance of power in the Valley in favor of the Union. The Shenandoah Valley...its families, its farms, its livelihood...was left in ruins. In 1862, Stonewall Jackson had said "If this Valley is lost, this war is lost." Nine months after Early's victory at Kernstown the war ended at Appomatox.